NEWS – Spring is here and we are giving away thirteen awesome prizes. One winner takes it all! Entering is easy! Just answer one simple question in a comment at the bottom of this post and if you’re willing to jump through a few extra hoops, you can earn up to three additional entries which will greatly increase your chances of winning. 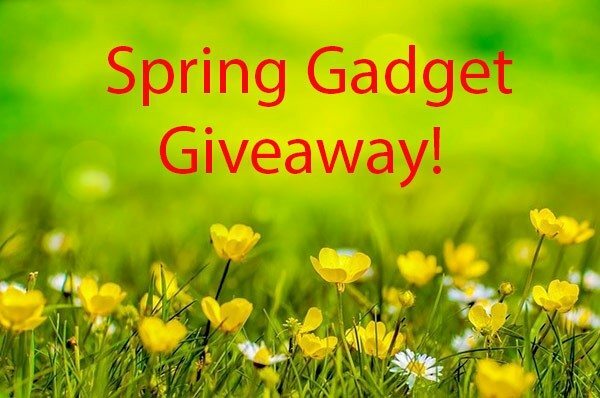 Please read the details on the prizes and the rules before you submit your entries for a chance to win our spring gadget giveaway prize pack! Customize what you carry and how you carry it. Wrap your iPhone or Samsung Galaxy smartphone in luxurious leather in a variety of colors. 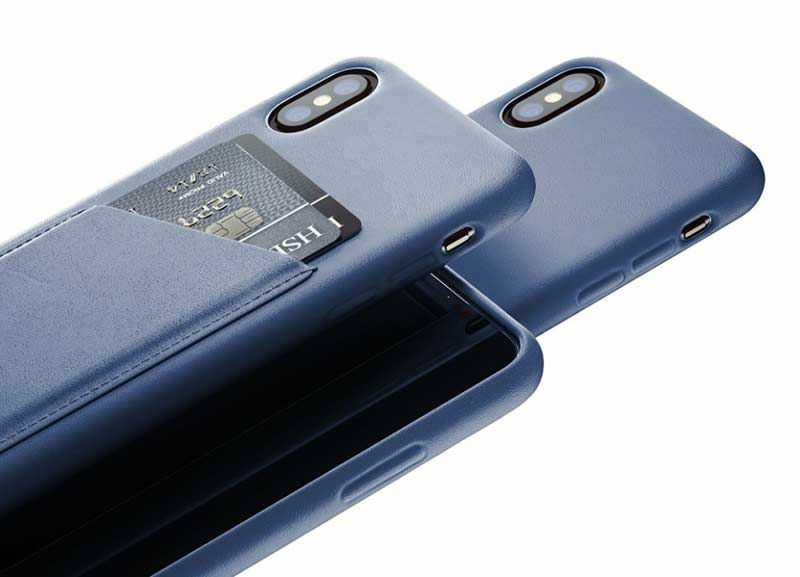 Mujjo leather phone cases not only look fantastic, but they will protect your phone from everyday wear and tear and some cases can even hold your most used credit cards. Mujjo offers cases for the iPhone 6S through the XS Max, as well as the Samsung Galaxy S8 and S9 smartphones. You can choose the exact case that you want as well as the color. 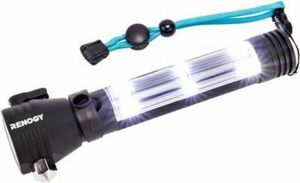 The E.LUMEN is the “Swiss Army Knife” of flashlights, its multi-functionality will come in handy in many circumstances. As the ice melts over lakes in the spring, the integrated safety hammer and seatbelt cutter could help you escape a car in case of an emergency on your commute or road trip. 200 lumens output: Shines brightly. Strobe, full, dim, side light bright, side light dim, fast red strobe and slow red strobe modes allow you to choose the ideal setting. 656′ beam distance: Illuminates the night with ease. Built-in solar panel: Collects solar energy and helps recharge the battery. 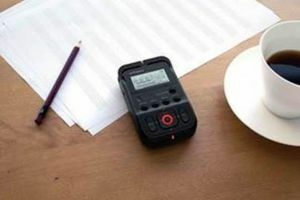 Handheld recording device to capture sound on-the-go with multiple high-quality recording modes, plus unique dual recording and hybrid limiting functions that ensure perfect audio capture every time. Supports mono and stereo WAV recording at rates up to 24-bit/96 kHz and MP3 recording at rates up to 320 kbps. Top-quality onboard stereo mics are always at the ready, while handy scene setups configure all the critical recorder settings with one touch. Is powered via two AA batteries or USB bus power, and comes in a choice of black, white, and red colors. Using the free R-07 remote control app on an iOS or Android mobile device, users can wirelessly manage various R-07 functions and also monitor status and levels while the R-07 is placed in a prime recording location that’s out of reach. For added protection during storage and travel, Roland is also offering an optional soft zippered pouch (CB-BPR07) and a sturdy bag with a shoulder strap and pockets (CB-BR07). One tiny ball- endless fun. Drive, play games, learn to code and more with this tiny, app-enabled robotic ball. Teeny tiny tech: Sphero Mini has a little gyroscope, accelerometer and LED lights. Control Your Robot… With Your Face: Mini’s Face Drive feature uses your facial expressions to drive the ball. The first and only cellphone charger that cleans and sanitizes your phone while it charges using Qi wireless technology, leaving your phone cleaner than when you bought it. Extra charging ports allow it to act as a universal charger if your phone is not compatible with wireless charging. Adero makes any bag a smart bag so you never leave without the things you need, when you need them. Place a Smart Tag on your bag (diaper bag, travel carry-on, gym bag or backpack). Then stick Taglets on the things you want to keep with your bag, such as your wallet, passport, headphones or laptop. Now your bag knows if the essentials that belong with it are all together. Know when things aren’t together without having to dig through your bag – just press the Smart Tag. If it lights up green, everything is all together and you’re good to go. If it lights up red, something is missing. Check the app to see what’s missing before you leave. Moodo is the first smart home aroma diffuser that enables scent personalization and customization to fit any mood. The app automatically recommends scent presets based on your capsule combination or you can create your own scent by adjusting the levels of each of the capsules in the device. Personalized aromas: Moodo currently has 8 scent families that come with 4 capsules each, giving users 400,000 possible scent combinations to customize through capsule mixing. Smart home connectivity: The Moodo device can be controlled via its app, which connects to Wi-Fi or via Amazon’s Alexa, Google Home or IFTT. App control: Moodo’s app controls the device from anywhere inside or outside the home, controlling the scent diffusions and intensities to always keep your home smelling fresh. Air quality monitor that tracks toxins and chemicals, CO2, humidity and temperature. Breathe better to sleep better by monitoring and improving your air quality. Following the simple storybook, build a portable, touchscreen computer, and attach a keyboard to bring your DIY computer to life. The touchscreen helps you learn about tactile interfaces and how touch controls work across everyday devices like smartphones. Share your creations on ​Kano World​, a free, creative community where anyone can make, share, and play with art, music and games, and tweak it to make it their own. Between now and 04/10/2019 midnight EST leave a comment on this page answering the question below. Which of these prizes are you most excited to win and why? At some point on 04/11/2019, I’ll pick one random winner using random.org. The winner will be contacted by email and will have 48 hrs to claim their prizes. If I do not receive an answer to my email in that time period, I’ll do other random.org drawings till the prize pack is claimed. The winner is comment #32 from John! Congrats John and thank you to everyone who entered and to our sponsors who donated the prizes! The Eve Aqua. My town has water bans/reduced usage and I always forget to water during the “ok” times, leading to a very brown lawn. The Adero smart bag because I am a bag nut. 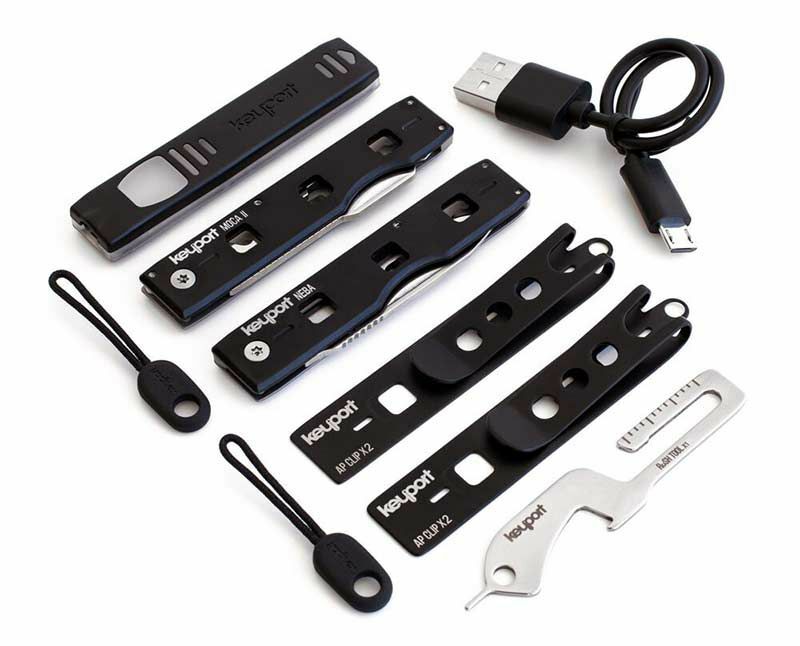 The Keyport Anywhere tools … the bit i have is incredibly useful — would like to have the rest. Kano: Computer Kit Touch – this would be a lot of fun to build with my youngest and provide an outlet for her computer gaming/learning needs. The keyport tools, because I love how they are modular as opposed to other multitools while also being slim, sharp, and seemingly well built. The audio recorder, certainly! I need something to take down the thoughts that inevitably occur to me ONLY when I’m driving, in the shower, etc. As I age, my short-term memory is fleeting. I don’t have (or, really, deserve) a Boswell to follow me around and take my dictation. I’m most excited to win the Phone Soap! It’s a great product I just think it’s over priced. I’m interested in the Awair Glow. I have allergies and it might be good to get some corroborating data. 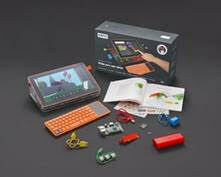 I am most excited about Kano: Computer Kit Touch. I think it would be really interesting and great way to build skills and have fun. 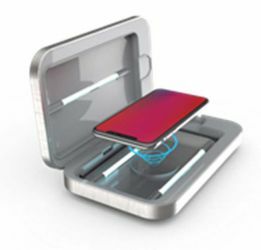 Phonesoap – I think our smartphones are pretty germ-laden and instead of using alcohol or bleach to wipe it down, this seems a whole lot easier and safer. I’m stuck between the Keyport bundle and the PhoneSoap! I’d be most excited to win the PhoneSoap Wireless! Which of these prizes are you most excited to win and why? The Kano computer so I can share it with my children. I am most excited to win the Phone Soap! An end to germ-laden cell phones? Yes please!! Phonesoap! Because I’m pretty sure my phone’s going to give me Black Plague one day. Keyport Anywhere Tools EDC Bundle – I’m an edc nut and love this kind of stuff. I would really enjoy the PhoneSoap cleaner, as I carry a personal and work phone daily in law enforcement, and it would be great to know they could both be clean easily. What a great idea! Thanks. I am already happily an email subscriber. Thanks! The Keyport Tools, because I’ll be ready for anything! Must tickled by the boombox so that I could listen to tunes while on my tractor! Would like the Awair Glow. Perfect to keep track of the air quality since mom has cancer. Fresher air is always better! The Kenu Airframe Wireless. 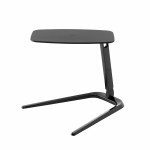 I’ve been looking for a great phone charger/displayer and haven’t found it yet. I like the selection, very diverse. What would Like the most is simple, anything you wish to give to me. I would love to have the phone soap. I know that cell phones are one of the most filthy things we touch everyday & would lime to have a device that doesn’t have so much bacteria on it. Definitely the Eve Aqua. We’re in an ongoing lawn rehab here in NC, and this would shave considerable time off the watering duties. Also, we do get the Gadgeteer News Letter. The Roland R-07 as I always carry a recorder with me. Kano computer kit. Hoping to get my nephew away for gaming all the time and experimenting with creating. I am already a subscriber for several years now. Most excited to win? The PhoneSoap! Perfect for getting rid of all those nasty phone germs! I have chosen the E. Lumen Solar Flashlight as the prize I most wish to win. I realize I need a sturdy, long lasting and dependable light for keeping safe and functional. I have subscribed to the newsletter. To me, Adero: The First Intelligent Organization System is the most interesting for me. As a Smart Luggage is something that’s interesting, but something I haven’t felt the need to have from a capability. And this would allow me to test that. SCOSCHE: BoomBottle® MM, it will fit perfectly into my lifestyle! The Adero. I travel frequently, and I manage to forget something every time. I’d be tickled pink to win the Moodo Diffuser. Get some of the stinky out of the office I share with a million other people! I’ve been a subscriber for many many years! The Awair Glow. Seems like the most useful gadget of the lot. PhoneSoap – I have always wanted something like this for my cell phone. It’s concept reminds me of the devise made for sanitizing ones toothbrush! I’m most interested in the Kenu Airframe Wireless charger. I’m contemplating a Qi charger for the car, and that would fit the bill. I’d be most excited to win the Kano computer kit. My kids have expressed interest in this kind of thing and I want to let them explore to see if they want to pursue more advanced computer-engineering type projects with me down the line. 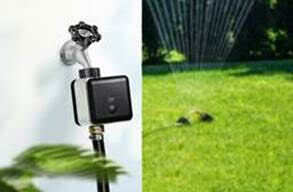 Eve Aqua – I need this because I always leave the sprinkler running way too long. Plus, I’m really lazy and hate going out to turn it off. Keyport anywhere! Love the modular design. The Kano kit. Looks like it would be fun to have. Keyport, a must for anyone into multi gadgets. I am most excited about the Mujo wallet iPhone case because I hate carrying my wallet around and they make great cases. The Sphero Mini – my grandkids have just started to get into coding so this would be fun. All the prizes look great but I’m most excited about the Keyport Anywhere Tools because I want to simplify my keychain. I’m a subscriber to the newsletter. I re-subscribed just in case. Crossing my fingers … 4/11 can’t come soon enough! The Adero system because we have lost items when we were traveling and this seem like a good option to prevent that happening again. I already subscribe to the newsletter and enjoy reading it and finding cool things. The Roland recorder – would be handy fro band practice and recording gigs. Subscribed. Thank you so much. 2. Been a newsletter subscriber for years. Because my kids are in that age group where learning to code with this item seems both effective and fun. 2-Already subscribed to the newsletter. Definitely the awair. 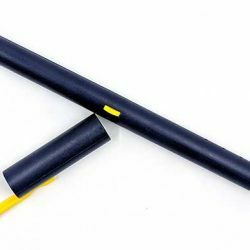 I build air quality sensors for school and would love to see how they compare to commercial products. Would like the Kano: Computer Kit Touch. Have always wanted to learn about coding, and the workings of a touchscreen. My boys are very computer game oriented. It would be great to have something close to their passion that will incorporate a learning opportunity. The Roland recorder – I’ve been in the market for a recorder for a while but have not been able to choose one. The sphero mini would be awesome. With five kids I’m sure at least one would love it. The Anywhere tool – just think of all the things I’ll be able to fix wherever I am anytime. I’m most excited about the Moodo diffuser. I love that it’s got so many combinations and is controlled by smartphone. The Kenu Airframe Wireless. I’ve actually been shopping for a vent mount Qi charger. I would most like to win the bluetooth speaker; it would be great to have for summer outdoor activities. Kano: Computer Kit Touch, because there’s been something missing in my life since Heathkit folded. The SCOSCHE: BoomBottle looks like a great bottle I can take to work with me so I can play my music and not have my drink spill all over. I’m most excited for the PhoneSoap! Key port tools, b/c I’m an EDC’er! I would love the phone soap! I’m always worried about germs! The Awair Glow is to me the most exciting. Perhaps I can get confirmation that allergies is what is bugging my eyes, or not. I would most be interested in the boom bottle. Combines two of my favorite things, I love water and I love music. We just bought a new Subaru Ascent and the Kenu Airframe Wireless would be a perfect and useful addition to the interior. 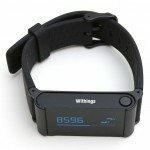 I’m a current subscriber and I enjoy your reviews of new gadgets abd gave bought several of them. I have to say the SoapPhone. Why, well… I use my phone a lot and really until I read this I never really thought about the germs on my phone (I remember seeing a review but skimmed by it). I have to say, the tags… what happens if you forget your phone. I am always forgetting my phone. The tags are useless to me, if I do not have my phone. Well, that was my first reaction reading it. the Roland R-07 audio recorder would really make me happy. As I am forever writing myself notes and list and then losing them. I like the Sphero: Mini because of the programming aspect. Which of these prizes are you most excited to win and why? The Kenu. Because it will solve a hurry up and go issue I have when I pop into the truck. As well as making sure to keep it charge quickly. The others are great. But this one particular one fill my needs. The Sephero, because it just looks like fun! For me, it is the PhoneSoap. I like that it works with all operating systems, charges the phone and cleans it. I have to be honest, I am a bit phobic about germs lol. 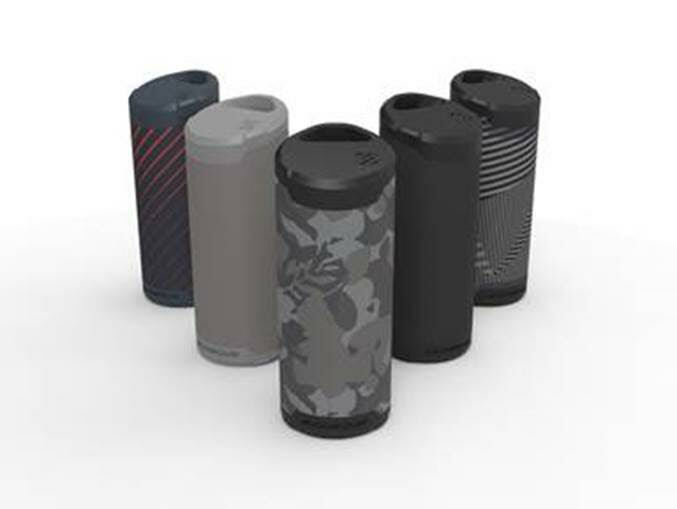 I would like the SCOSCHE: BoomBottle® MM speaker. I like the size and that it’s magnetic. They are all great prizes but the phonesoap wireless interests me the most because I know I’d get so much use out of it and love what it does. I sent a tweet for another entry. I want the keyport anywhere tools to help my EDC! 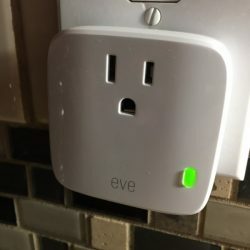 Eve Aqua! I am so tired of my lawn dying due to my inept garden management skills. Also I subscribed to the newsletter!